These Wall Signs Sell Fast When In-Stock! In-Stock Units Are Offered At An Affordable Price Online. Purchase These Wall Signs Today! Media Size: 5.75" x 9"
3.75" x 5" 3.75" x 8" 3.75" x 15" 5.75" x 6"
Mounts vertically or horizontally on any flat surfaces. Fabricated from high quality aluminum with black finish. Front loading with suction cup included for quick and easy changes. 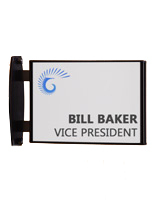 Screw set included to mount the double-sided signage at a perpendicular angle to any wall. These wall signs are great for displaying simple messages. A display such as the one featured on this page is a perfect way to lead visitors to the right way. These wall signs that have a curved design make the graphic stand out from the frame. 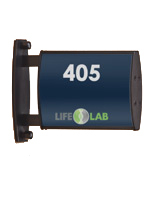 This black aluminum plate can be used to exhibit warning signage, directions, room numbers, departments or a person's name. 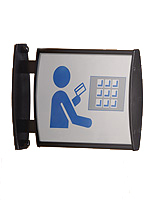 These lobby directory displays, wall signs are meant for indoor use. The entire unit can be mounted to any flat surface. 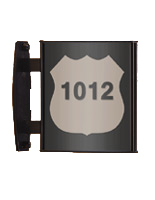 These affordable wall signs, also known as wayfinding displays, are made from high-quality aluminum with a black finish. 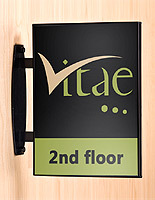 The lobby signage can be used in almost any business environment. These wall signs that are two-sided fits two 9" x 5-3/4" portrait or landscape orientation prints back-to-back. 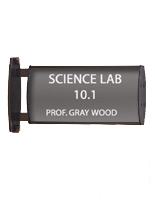 The aluminum plate does not include with custom signage. Customers are required to get their own graphics. 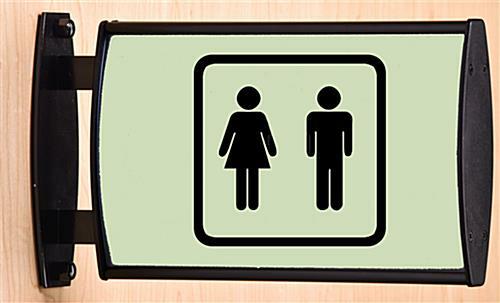 To save time and money, customers can even print their signage right off an office printer! These room number holders, wall signs are sold with (2) non-glare overlays included to protect the graphics from getting ruined. The plastic lenses also ensure that your messages are readable from all directions. These wall signs that are front-loading allow users to update signage consistently. Customers can use the suction cup provided to lift-up the front lens and place the artwork behind the plastic overlay. These double-sided wall signs are an easy-to-use way to change out graphics with no hardware needed. For that reason, these lobby signage will be ideal for places that often change a sign like in schools, offices or meeting rooms. 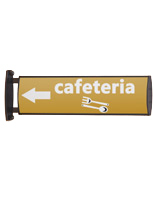 These economically priced wayfinding displays are sold in many other sizes as well. 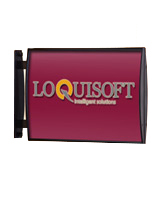 Purchase these lobby sign holders in large quantities for more savings. 10.8" x 6.4" x 20.0"